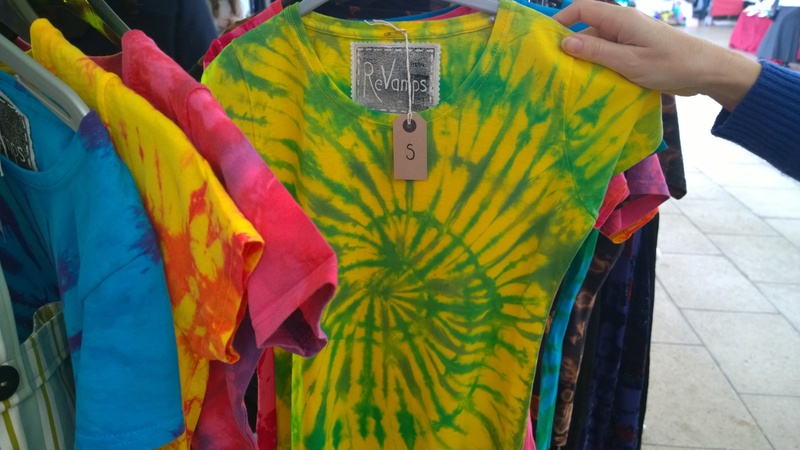 Learn how to make a spiral-patterned tie-dye T-shirt. Learn about mixing dyes to make a whole spectrum of colours so that every T-shirt is unique. At the class you will tie and dye your t-shirt then take it home to be rinsed the next day once the dyes have set. This entry was posted in Uncategorized and tagged art workshop, cityarts, clothes, t-shirt, tiedye.